I honestly didn't know what to expect by attending and speaking at the BOLO Conference. I have never worked in the advertising industry, and BOLO is very much a conference for agency owners, staff, and vendors. 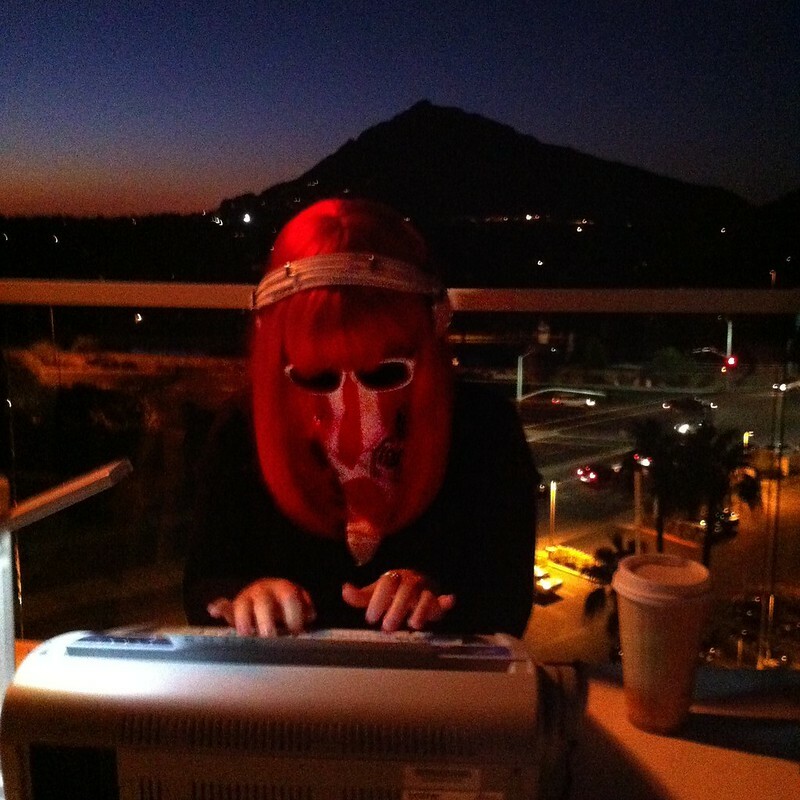 Held at the groovy, retro, Hotel Valley Ho, in Scottsdale, AZ., BOLO was one of my favorite conferences I have attended. I am honored to have been included as a speaker and very much have Jay Baer, Bret Giles and Tyler Farnsworth to thank. Thank you gents. The energy of the conference was driven by its stellar group of attendees and speakers. The main themes I took away were not only specific to the advertising industry, they were applicable to life. Simplicity, community, creativity, originality, and mobility are terms that spring to my mind when I reflect on the great content the presenters provided. Each speaker brought his or her own stories, opinions, and smarts, which left attendees excited and inspired. Sponsors tastefully presented their wears and supported the meals and parties. I especially enjoyed Bing's bash and the The Bumbys, who provided their "fair and honest appraisals of (y)our appearance." The true value of a conference is the grouping of unique people and providing them with the ability to connect with one another. Meeting people occurs during timely breaks, parties, meals, and allocated networking activities. BOLO did a perfect job providing this which I sincerely appreciate. By scheduling a good mix of talented speakers, attendees are left with topics to discuss between and after presentations. It's difficult for me to pick favorites, because I was blown away by each presenter. I was equally impressed by the amazing people I met, some I now call good friends. One reason why I love Twitter is the ability to review who I tweeted with and retweeted during a conference. After BOLO, I reviewed my tweets and created a private list of my favorite people I met. By doing this, I can now return to my BOLO Friends list to keep up to date with what they are up to. I have a post here with more tips on using Twitter lists. A great conference is like summer camp. It is well organized and superbly executed. It carefully selects it's people (staff, sponsors, speakers, and attendees) to ensure the experience is flawless. It makes you sad when it comes to an end, but excited for next year. It leaves you with new, long-lasting friendships. BOLO did all of the above. Finally, a big THANK YOU to Susan Baier, who was kind enough to take a group of us out for lunch. It was a generous gesture by an incredibly sweet and smart woman who I am happy to now call a friend, follow her on Twitter @susanbaier. Did we meet at BOLO? What did you think of the conference?